The People’s Democratic Party (PDP) has vowed to retain power in Akwa Ibom State as well as reclaim power at the centre. 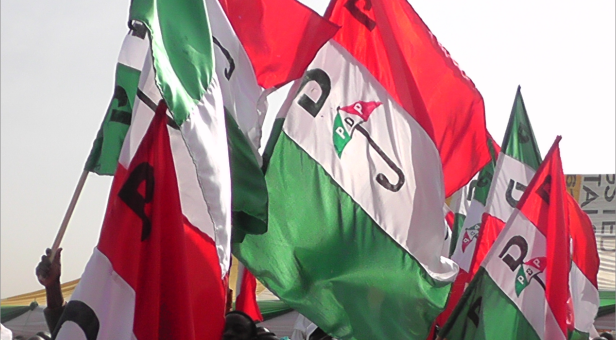 Ekpo, who is the chairman of PDP states’ chairmen, said the federal constituency tour was planned to inaugurate local government area caucuses for Mkpat Enin, Ikot Abasi and Eastern Obolo respectively, as well as present the party register and membership cards for registration of new members and revalidation of old members. To rescue Nigeria, therefore, Ekpo said the party in Akwa Ibom state and, indeed, Nigeria has taken steps to return power to the people by ensuring strict adherence to the zoning principles, to reinvigorate confidence and restore a sense of ownership of the party to the people. “The business of taking the party back to the people has become necessary because the party primaries and elections are closer. The only way we can rescue Nigeria is to return the party to the people and there must be synergy at various levels of the party for us to easily achieve this set goal,” Ekpo said. He acknowledged the hard work of various groups, including the women solidarity to Governor Udom Emmanuel and his re-election bid, but noted that the party would abandon its zoning formula and streamlining of positions so as to give room for power balancing and political inclusion. He advised the party faithful to ensure the presentation of candidates who will be able to win the general election for PDP. Recounting the party’s strides from inception, Ekpo said the tour was apt, timely and aimed at consolidating the party for the forthcoming general election. The state chairman tasked the newly inaugurated council caucuses to enrol in the ongoing continuous voter registration exercise.